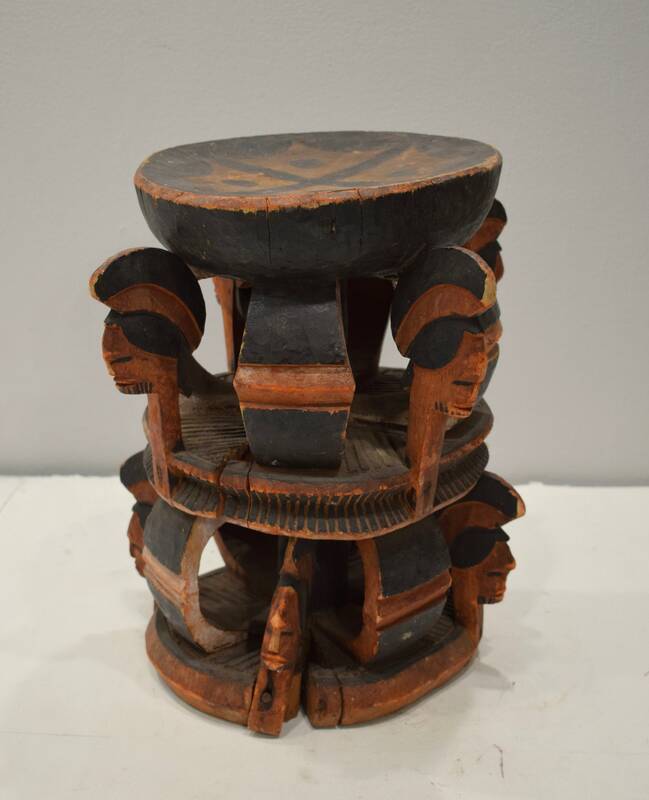 This is a beautiful Old Igbo Carved and Painted Wood Stool from Nigeria. A hierarchy of titled ranks is an important feature among the Igbo, and many men and women attain an initial title in adulthood. Moving upward in rank, requires a significant investment in resources, social contacts, and time. 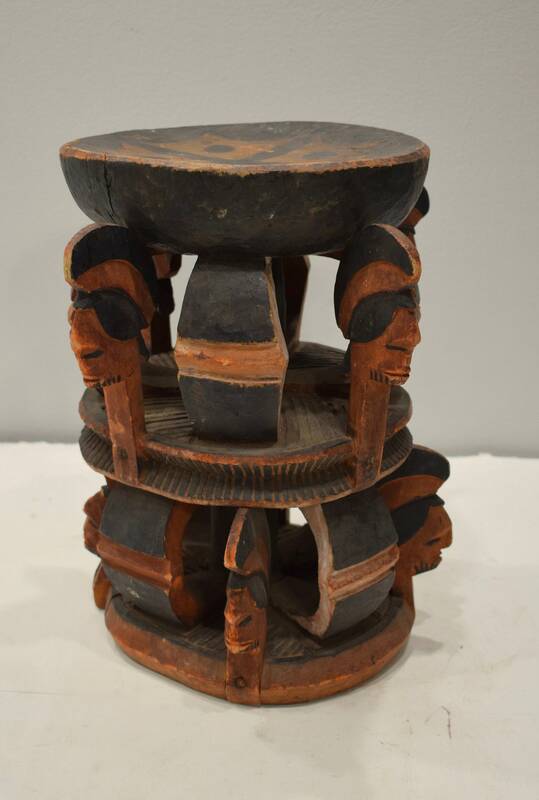 A title comes with responsibilities and privileges, including regalia and status objects like this stool. 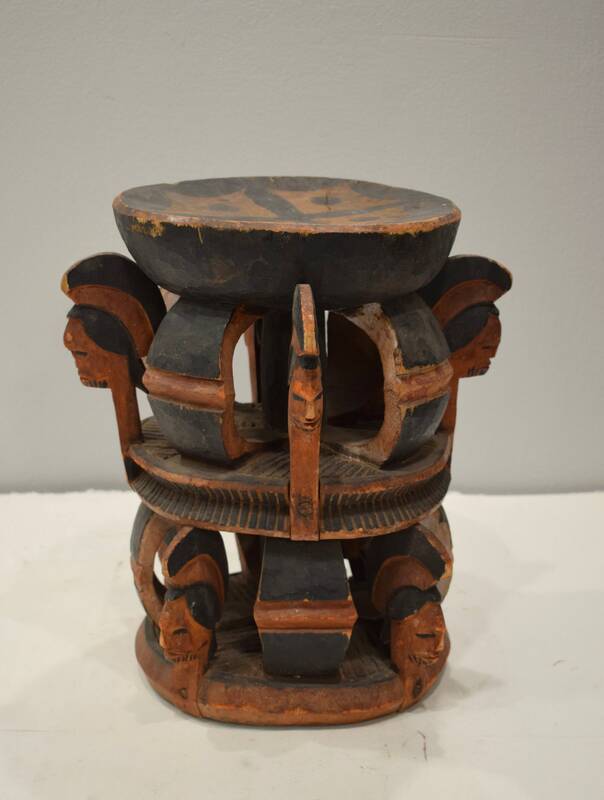 These intricate designs and carvings in two levels of interlocking supports were sculpted from a single block of wood. 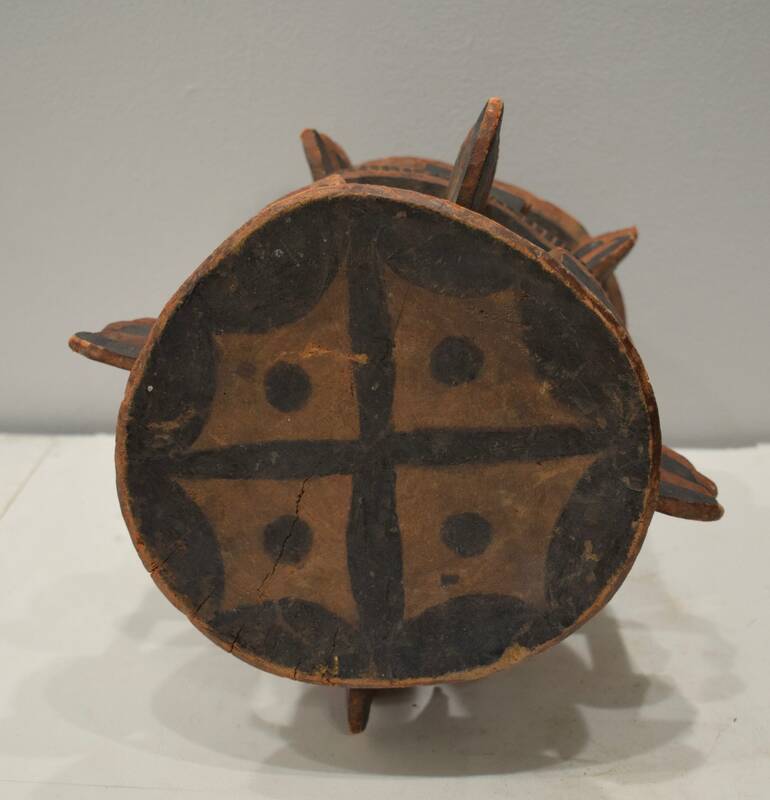 A rare piece that would compliment your home or collection. 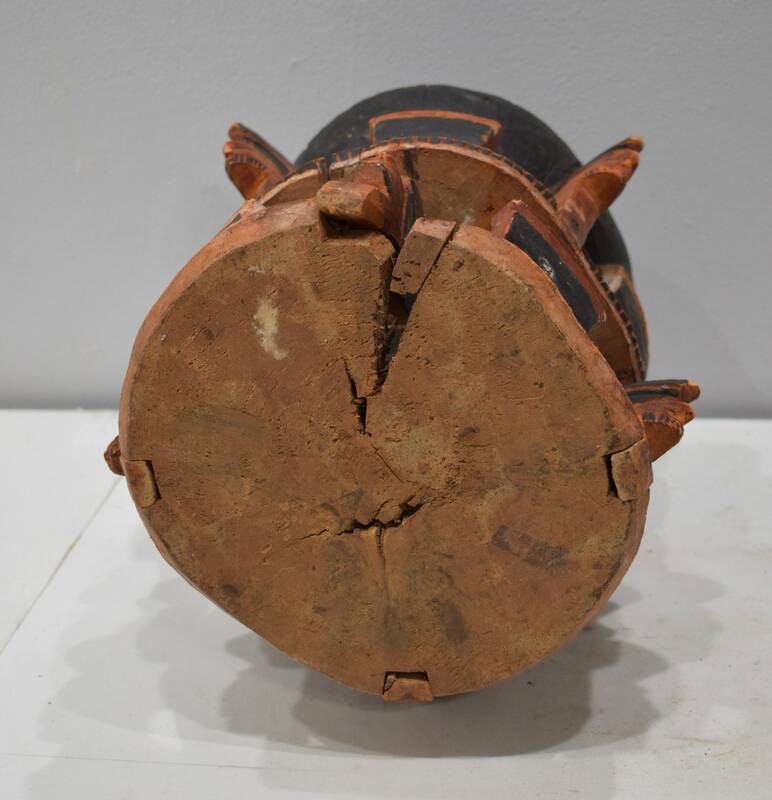 Shows age, has cracks in bottom and discoloration, but in good condition.